September is when beekeepers harvest their (bees’) honey. 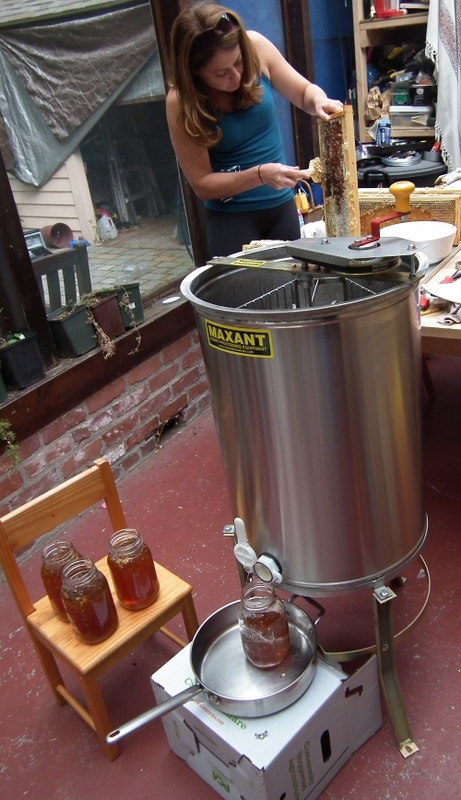 It was also the month when the BEElieve beekeepers group used their brand new shared honey extractor, purchased with the proceeds from selling their honey at the Summers Farmers Market. Some of this honey, from Kaat’s hives in the Happy Hollow area, was a deep red. And very tasty! Thank you, good people of Wayland and around, and Peg Mallett, Farmers Market manager, for your support!